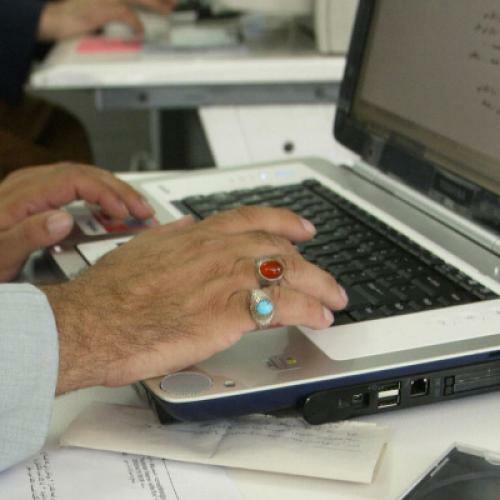 The Iranian regime's “cyber-jihad” began in June 2009, a perverted response to the massive protests that followed that year's presidential election. The government saw the three million peaceful demonstrators who poured into the streets of Tehran and other cities as a threat, and they determined that “social media” was the culprit. The gruesome murder last month of Sattar Beheshti in a secret prison in Tehran is a stark reminder that the use of the word jihad—holy war—was not a metaphor, but a warning to the opposition. If they ever attempted to use social media in service of democracy, their blood would be shed in the name of God. In line with this new jihad, the Revolutionary Guards created a special unit to fight the “culture war” that it claimed was now centered on internet social networks and international satellite news. Thousands were employed by the IRGC and the Intelligence Ministry for the special purpose of fighting this war. To facilitate their work, the regime bought millions of dollars worth of sophisticated equipment from Siemens-Nokia for the sole purpose of monitoring, ease-dropping, and censoring not just the social media but cell phones and faxes in Iran—a prospect made much more ominous by the fact that the IRGC now owns the conglomerate that controls the internet, telephone, and fax infrastructure in Iran. As we now learn, these units also were provided with their own prisons and interrogator-torturers. But if Beheshti's blog posts were a testimony to his bravery, the regime’s response to his death was a clear demonstration of the regime's fundamental cowardice and its increasing fragility. The government's bizarre “damage control” in the face of international criticism was a strange brew of Kafka, Kundera, and Orwell. First, it offered only silence, then outright denial (including the absurd claim made by the judiciary’s spokesperson that “there is the possibility that counter-revolutionary circles might have done something”), then grudging admissions, after an “official inquiry”, that torture by rogue agents may have been involved. At each step, the government conceded only the points that had been made incontrovertible by hard evidence: They backtracked only when they were contradicted by testimony from Beheshti's cellmates, who valiantly signed a petition detailing signs of torture after sharing cells with him for only a night—and eventually by the release of a letter written by Beheshti himself during his torture, chronicling his torments. But the flailing claims made by the government, absurd as they were, deserve to be remembered, as they express their own twisted form of truth. Consider a comment made by a leading member of parliament, who claimed that Beheshti had died not of the beatings that had left the bruises on his body, “but of fear and shock.” It is hard to find a more sobering albeit inadvertent indictment of the regime. What kind of a regime causes a previously obscure blogger, with few readers, to be so afraid that that he dies of fear? The most sobering lesson, however, is contained in the record of Beheshti's blog posts. Reading them, what stands out is his sober recognition that Iran offered him little alternative to the martyr's fate he eventually met. In one of his earliest of the 286 total blog posts, on 12 October, 2011, Beheshti invites the opposition to unite against despotism and ends by saying, “whether with my humble pen, or my humble life,” I will fight for this unity and for an “end to the deplorable despotism that plagues Iran.” His last blog post, published a day before his arrest, and less than a week before his tragic death, describes the intimidating calls he had received to shut up or prepare his mother to mourn his son, and ends by declaring he has entered this fight with resolve, and ready to die. Life in Iran, he had said more than once, is tantamount to life in prison, and he, and the nation, want freedom. A regime so brutal in its treatment of such aspirations is committing a jihad in the name of “national security” that is entirely in vain.